Knights of Creativity Spirit & Ale: Who is Crispus Attucks? “Truly the epitome of brewing's two thousand year evolution, Samuel Adams Utopias® offers a flavor not just unlike any other beer but unlike any other beverage in the world. Its warm, sweet flavor is richly highlighted with hints of vanilla, oak and caramel. With an alcohol content of 27% by volume, its complexity and sweet, malty flavor is reminiscent of a deep, rich vintage Port, fine Cognac or aged sherry while being surprisingly light on the palate. And like the world’s finest after-dinner drinks, Samuel Adams Utopias is not carbonated and should be served at room temperature. Samuel Adams was, of course, of great American Patriot. 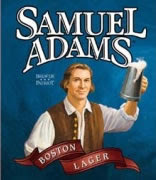 In fact, it was Samuel Adams (along with John Hancock) that British troops were under orders to capture when Paul Revere (and less-famous William Dawes) made his famous ride and foiled the mission. Ol’ Sam seems a perfect hero to be honored with a beer named after him. Samuel evidently inherited a brewery from his father, but it closed sometime during the revolution ( I guess he felt he had better things to do). What you won’t find (to the best of my knowledge) is a beer named after Crispus Attucks. Who was Mr. Attucks? Legend has it that Crispus Attucks, an African American, was the first fatality of the American Revolutionary War. “On the cold, snowy night of March 5, 1770, a mob of American colonists gathers at the Customs House in Boston and begins taunting the British soldiers guarding the building. The protesters, who called themselves Patriots, were protesting the occupation of their city by British troops, who were sent to Boston in 1768 to enforce unpopular taxation measures passed by a British parliament that lacked American representation. Now, you can also thank Patriot Paul Revere for reinforcing a lot of the negative American sentiments about British rule. He made and distributed a provocative engraving of the incident, depicting the British soldiers lining up like an organized army to suppress an idealized representation of the colonist uprising. So, the next time you enjoy one of the many Samuel Adams varieties, think of Crispus Attucks and the other Patriots who took the first bullets in the American Revolutionary War, on this date 230 years ago. There is a Crispus Attucks high school here in Indianapolis.